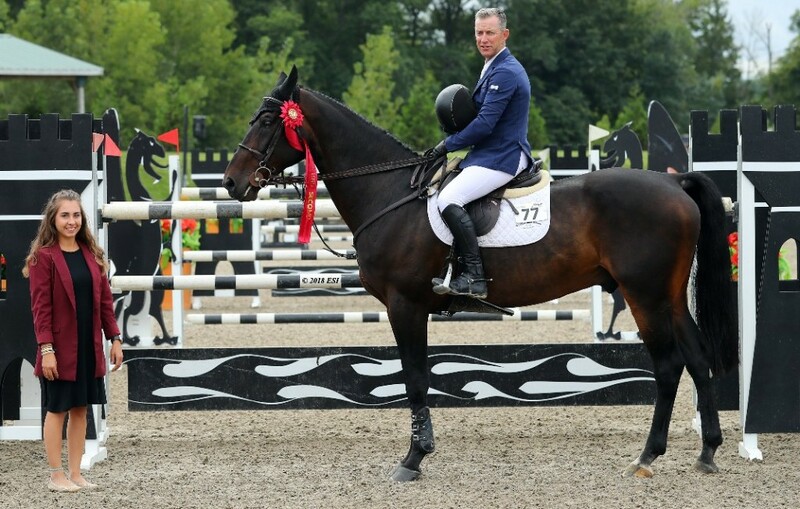 HITS » USA Dominates in the $100,000 Hudson Valley Jumper Classic FEI CSI5*! 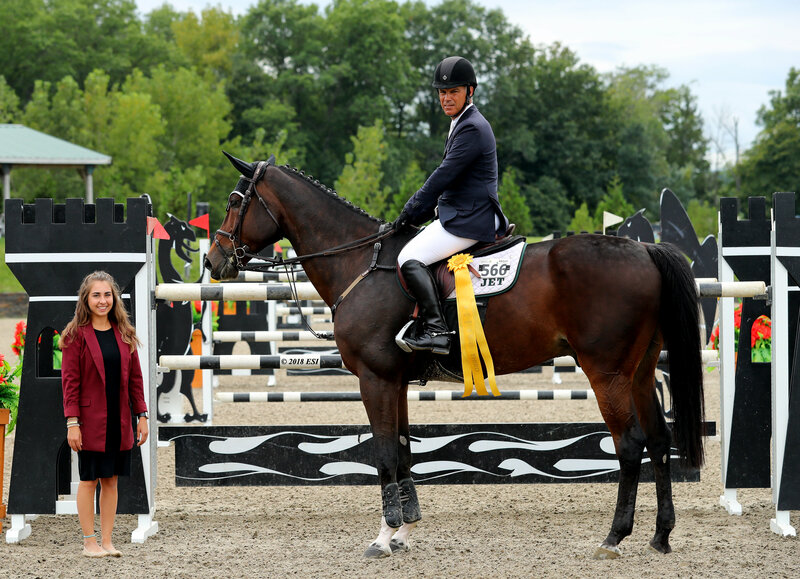 Hudson Valley $100,000 Jumper Classic FEI CSI5*! 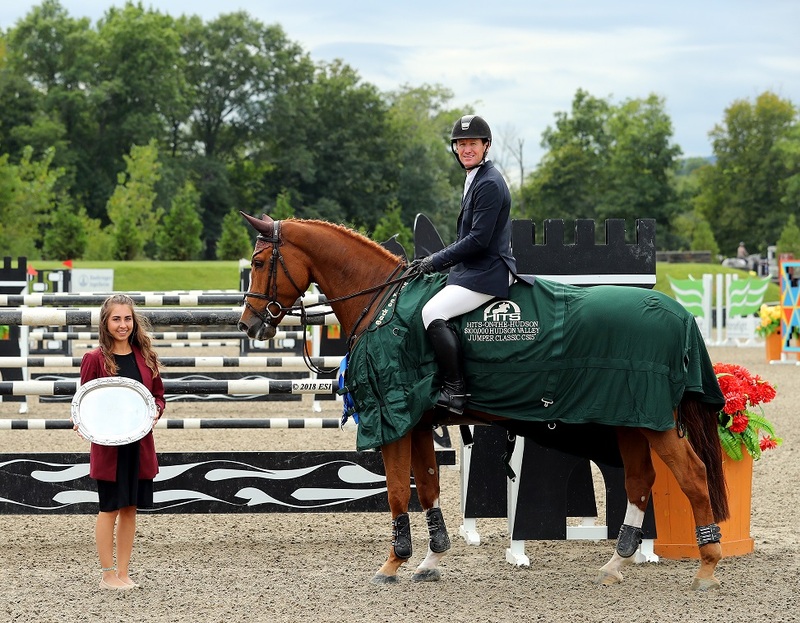 FEI riders returned to the Grand Prix Stadium at HITS-on-the Hudson for the $100,000 Hudson Valley Jumper Classic, the third of four FEI classes at the HITS Championship CSI5*, which culminates Sunday with the Saugerties $500,000 Grand Prix CSI5*. 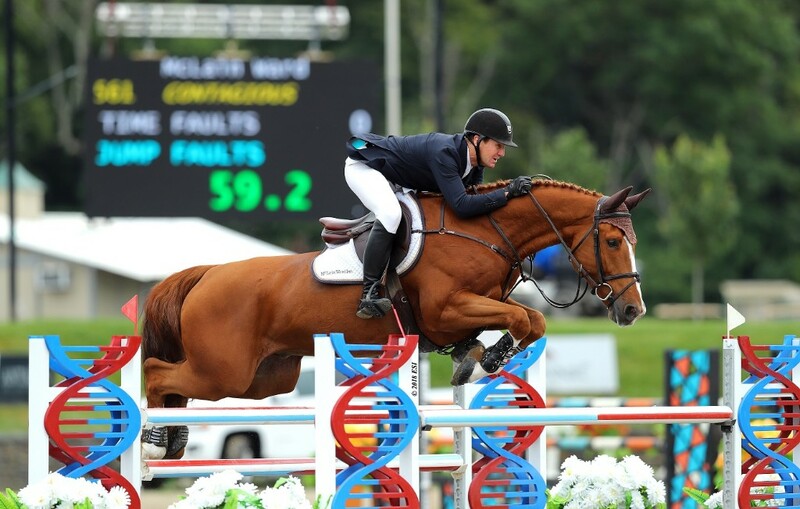 Three-time Olympic gold medalist McLain Ward topped the field of 49 high performance athletes from across the country and around the world, representing countries including the United States, Canada, Venezuela, and Mexico. The first round course yielded 14 clear rounds and half would jump clean in the jump-off in the pursuit of the blue ribbon, custom cooler, trophy, and lion’s share of the purse. 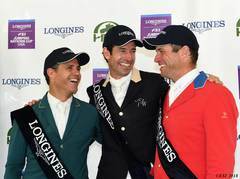 It was a good day for the USA, taking the top five spots, with Ward, Johnathan McCrea and Jimmy Torano, as the top three. Alexis Trosch of Venezuela was the first to return for the short course. He and CANTARA Z lead the way, cleared all of the fences in a time of 44.56, setting the Great American time to Beat for the 13 who followed. Trosch’s time would be good enough sixth place when the class was finished. Next to challenge the track was David Raposa in the irons aboard S&L SAGE. With a fifth place finish in Wednesday’s $35,000 HITS Saugerties Welcome CSI5* Raposa was eager to build on that success, and laid down a clean fast round, crossing the timers in 42.77 and setting a new Great American Time to Beat. At the end of the class, would again take home a pink ribbon. Beth Underhill and COUNT ME IN, just off a win in the HITS Chicago $500,000 Grand Prix CSI5*, crossed the timers with a clean round in 44.84. Her solid effort would give her a seventh place finish and a great prep for Sunday’s feature class. The lead would change hands with each of the next three rides, as another double clear ride would be marked down, this time for Kristen VanderVeen and BULL RUN’S ALMIGHTY. VanderVeen was slick and tidy over the shortened course, jumping to a time of 42.50. In the end, VanderVeen was awarded the fourth place ribbon. Following VanderVeen and immediately taking over the top spot was Jimmy Torano aboard GLASGOW DE MUZE soaring to a time of 42.30. While Torano was fast, there were still competitors waiting to challenge the shortened course and Torano would finish in third place. Two riders were yet to go as Ward looked on hoping his time was good enough. It was Jonathan McCrea who would be the closest challenger aboard WIN FOR LIFE. With each fence, the crowd cheered him on, and as he crossed the timers everyone looked to the clock to see a time of 42.18 which would put McCrea and WIN FOR LIFE in second position. As Ward entered the winner’s circle, his smile said it all.